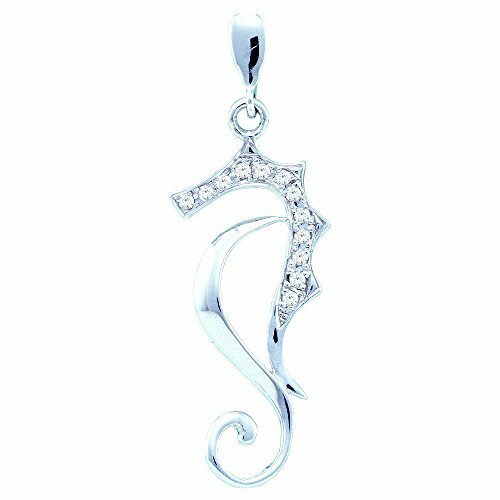 10kt White Gold Womens Round Diamond Sea Horse Nautical Animal Pendant 1/20 Cttw. _Combined diamond weight of 1/20 carats total weight represents a range of 0.04 - 0.06 cts. t.w.